!!!! !CHECK OUT OUR NEW WEBSITE!!!!! 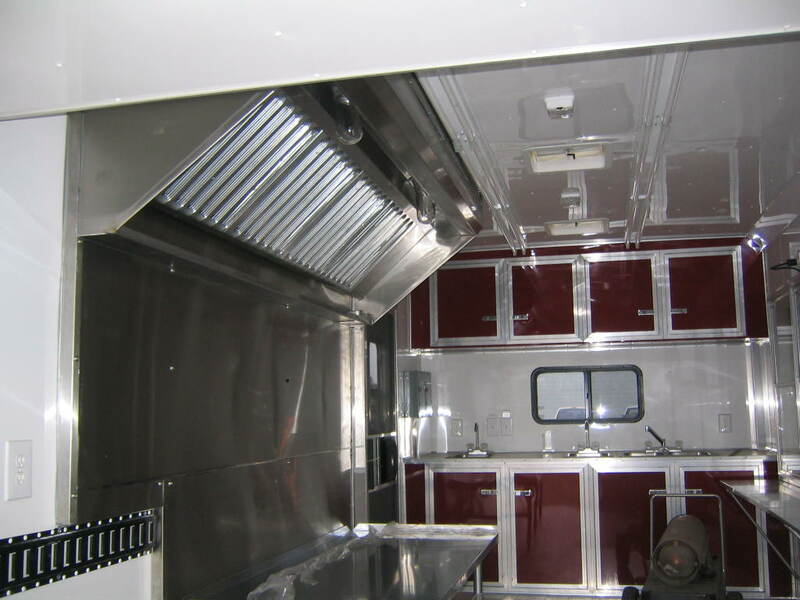 Along with our standard commercial line-up KSH offers custom concession trailer hoods. These hoods are made on a case by case basis to fit any trailer. 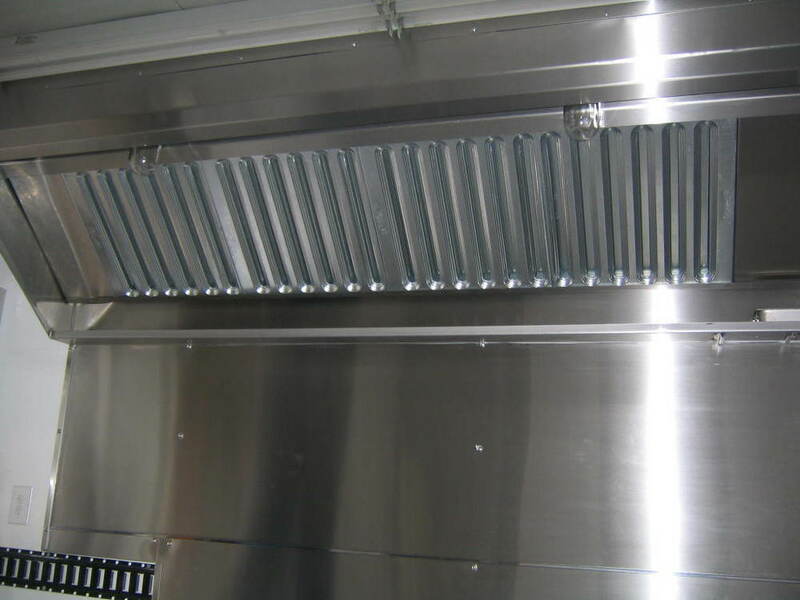 Kitchen Stainless Hoods' most popular concession trailer hood offers a system that is efficient, economic and most importantly inexpensive. We will design the system according to YOUR needs. There is no such thing as a "one size fits all concession hood." Exhaust Flow Rates: Efficient exhaust flow rates. Rated down to 75 CFM per lineal ft. This means smaller fans and better pricing! ETL listed and UL 710 Compliant. Heavy Duty Stainless Steel Construction: 100% 16 gauge stainless steel construction. Mill polished with an attractive brush finish. Convenient Design: Factory pre-wired lighting to illuminate the cooking surface is accessible from the bottom of the hood. Easily accessible hanging angles. 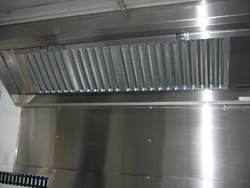 Grease Trough: Hoods come with integral grease channel with UL stainless steel grease cup. Filters: All hoods come standard with UL listed galvanized baffle filters. Stainless steel and aluminum are also available. Industry's Fastest Lead Times: KSH can have your system shipped within three weeks and can also ship within three days for an additional fee. 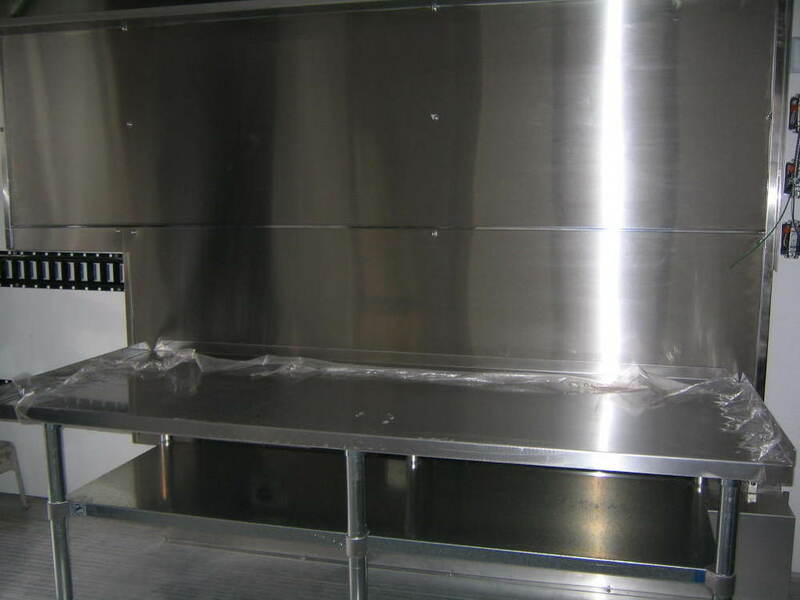 Enclosure Panels: Stainless steel hood skirt that will hide the ductwork on top of the hood. Extends from hood top to ceiling. Very attractive and an excellent finishing touch to your hood. Stainless Steel Backsplash: Stainless panels with divider bars and end caps.